The following is a list of Internet service providers (ISPs) that are believed to cause trouble for BitTorrent clients, Online Gaming and/or other P2P clients and the reason why. If your ISP is not on the list and you have reason to believe they are shaping traffic, you might consider helping others and adding the information to the list here. However, before you do that, please ensure that you have read about good settings and NAT problems, and your entries are accurate. You might also test with the built-in Mlab speed test in Vuze for your effective speeds and also for possible traffic shaping/throttling/blocking activity. Go to Help menu, select "Speed test..." and run the "General speed test". One of the biggest problems are providers that perform traffic shaping on P2P protocols, see Avoid traffic shaping for advice on how to counter that. You may consider whether you want that if your ISP is listed with an encryption level greater than 0 or a question mark. It may also benefit people if dates are mentioned as these can be a reference point to whether the information is current or outdated. Ushuaia - Tierra del Fuego Yes No ? No No ? ? ? ? Vivid Wireless, Australia Yes ? ? ? ? ? ? ? ? Tpg No ? ? No No No No No ? Canada has resellers and wholesale. Resellers don't have their own equipment, and just resell large ISPs services. Wholesale will own their own equipment, and provide their own transit out of the large ISP's network. This prevents duplication of 'last mile' infrastructure. Note many wholesale companies wholesale DSL and Cable across the country from various large ISPs, so everything is based on the larger ISP they're whole-selling. Due to the way wholesale works in Canada (wholesale equipment is generally AFTER incumbent DPI systems), all Wholesale ISPs will be affected in the same way for each area. Shaw Cable Wholesale: Bittorrent uploads are managed to 80kbps only on congested nodes. All management is removed once the node has been upgraded (ie approx 2 months). Claro Chile ? ? ?+ ? ? ? ? ? ? Bouygues Telecom, France ? ? ? ? ? ? ? ? ? Orange, France No ? ? No No No No No ? T-Systems is the Tier 1 provider for Germany and they either manually throttle all BitTorrent characteristic traffic (encrypted or not) by throttling all traffic for the entire PPPoE session within 5 minutes after connections have been established or they have a constantly recurring overloading problem at their gateways and routers (which according to MaxMind GeoIP are in the Netherlands, curiously), the extremes at which is throttled vary but are usually between 100kbps and 500kbps, with the effects much more severe if BitTorrent mainlineDHT is in use, IPv6 over a 6to4 tunnel is transferring data or the more active TCP connections you have or if UDP connections are used. This is evidenced by the fact that the download speed is much higher shortly after start, than it is after said 5 minute window (this includes a parallel running FTP or HTTP transfer), even though the number and bandwidth available through remote test hosts far exceeds the badwidth available for the local host. If BitTorrent traffic stops on the session, it can take up to 15 minutes but bandwidth will return to normal state (via HTTP and FTP). Bandwidth will also return to the normal state if the PPPoE connection on a DSL router is severed and reinitialized. After analysis and testing via residential DSL connections, cable connections and hosts in datacenters, it is evident that the throttling either occurs at the Tier 1 level or that all connections which run over DTAG operated lines are affected (DTAG owns and maintains all physical connections in Germany and several surrounding areas). There is currently no perfect solution to mitigate their traffic shaping effects, be they intentional or unintentional, but the fewer IP connections are active, the better the results for possible speed. Mitigating the problem: Use encryption level 4 (has no real effect, but will prevent them from finding a new shaping method too quickly), set outgoing connections to a fixed source port (Tools -> Options -> Connection -> Advanced Network Settings -> Bind to local Port) which is different from your incoming port (this will only work on Windows 2000 and newer or Linux based operating systems). Do not forward this port in your NAT device or firewall to prevent rogue clients or man in the middle devices from sending packets to it. Further recommendation, if you have an IPv6 capable NAT device: Find a reliable 6to4 tunneling provider (try SixXS), use Java 7 and enable the checkbox at Tools -> Options -> Connection -> Advanced Network Settings -> Enable IPv6 support but disable the checkbox at Prefer IPv6 addresses when both IPv4 and IPv6 are available. Please be aware that this is only a temporary solution and you may get a lot of NAT errors with some of your torrents (you're still reachable via the old forwarded incoming ports). Wind Mobile Fixed Internet No ? 2+ No Yes Yes No No ? Sepanta - سپنتا , Iran ? ? ? ? ? ? ? ? ? Irancell - ایرانسل , Iran ? ? ? ? ? ? ? ? ? ParsOnline - پارس آنلاین , Iran ? ? ? Yes ? ? ? ? ? Rasaneh Esfahan Net - رسانه اصفهان , Iran ? ? ? ? ? ? ? ? ? Datak - داتک , Iran Yes ? ? ? ? ? ? ? ? Azadnet - آزادنت , Iran ? ? ? ? ? ? ? ? ? Omidan - امیدان , Iran ? ? ? ? ? ? ? ? ? Datak WiMAX - وایمکس داتک , Iran ? ? ? ? ? ? ? ? ? MOBINNET - وایمکس مبین نت , Iran ? ? ? ? ? ? ? ? ? AFRANET - افرانت , Iran ? ? ? ? ? ? ? ? ? AsiaTech - آسیاتک , Iran ? ? ? Yes ? ? ? ? ? My WiMax are adamant they don't throttle or in any way shape, but it can't be coincidence that every time I download my connection will be cut. J:COM (zaq) start speed throttling from August2011.160M connection only shows 15 to 20K speed.They admit that P2P is blocked from now. J:COM (Zaq) Ultra 160M, Osaka area. Throttling speeds on all P2P connections only on their 160M plan. 60Kbyte/s - 70Kbyte/s down speed. HTTP / FTP downloads 8 - 12 Mbyte/s. 40M connection plan seems to be unaffected. This is not stipulated in their contract and thus a change of ISP with an early termination of contract can be obtained without penalty as a result of their own restrictions being placed on a connection without notice. When arranging the change of ISP, remember to argue the point that it is not stated in the contract and that you took out this connection under the belief that you were receiving and unconditional 160M connection . Do not budge on it. I just got off the phone with J:COM. They have also started throttling P2P on my 160MB connection. It now reaches about 150kb (not kB) per second maximum. HTTP downloads can still reach speed of up to 3 MB/second however. Softbank BB Ultrawifi service blocks P2P traffic. If you open Bittorent the Internet will just stop working completely. I found that if you pause all torrents and only let one at a time go, it'll let you stay connected for about 20 minutes and then kick you. So-net "NTT-West Hikari with flets NEXT"(200Mbps in best effort) doesn't block Bittorrent Protocol(at least in Hiroshima prefecture) and up/down speed can be over 180Mbps, but over 30GB/day upload is not allowed and if you over that, you may receive a warning mail. Use the Speed Limit Scheduler to set your limits. Emobile and (maybe) softbank, (via cell phone tether, unlimited data plan) Tracker comms are blocked, you need to use a proxy for at least tracker comms. Transport requires a minimum of plain encryption High port numbers don't seem to work. Zuku Yes No ? Yes Yes Yes No No Yes Speeds are often capped to slower than what was paid for. 512 becomes 256. They say HEAVY NETWORK LOAD, but it seems they are putting profits before customers, bad business practice. In 2011,Malaysia goverment release the statement that force ISP to block 10 file sharing site including Pirate Bay and Filestube. This action has make all people that use this ISP in Malaysia make a protest due to this action. International group, Anonymous make respond to this block and attack some of Malaysia site and join by some of local hacker group DragonForce. After that,Anonymous release a method to all Malaysia about technique to bypass this block using method that call Google DNS. Malaysia ISP also limit P2P using technique call Traffic Shaping that don't allow Malaysia people to download file from other country using P2P method due to bandwitch reason. In 2015 UPC and Ziggo have merged. Ziggo is now the biggest internet service provider in the Netherlands and owned by Liberty Global The merger of the UPC and Ziggo into one network provider has caused a lot of complications. Almost 40% of the customers in the Netherlands are reporting problems with Ziggo alles in 1 packages. This means that a quarter of the subscribers does have problems. Ziggo reported that they are working on the issues and that they will solve the problems. The cable market in the Netherlands is made up for several small regional and more than 15 town based players.If you want to subscribe to one of them, you will find a complete overview of Dutch ISPs on several dutch websites. Through the postcodecheck or the comparison website vergelijkexpert.nl you can see which providers are available on your postalcode and housenumber. On 22.2.2016 Liberty Global announced that Ziggo will merge with Vodafone. Vodafone is available via fiberglass. The availability of fiberglass in the Netherlands you can check also check on this website. Meanwhile Ziggo and Vodafone have been merged but Vodafone is not active anymore as ISP. Maximize your download speed, compare internet providers and packages. T-mobile is going to merge with Tele2. In 2020 they promisse 5G. T-mobile is offering internet packages with a speed of 750Mb/s. Note: Only Tested on mobile Internet services. This ISP uses D.P.I. (Deep Packet Inspection) to avoid some tests (such as Bittorrent specific test), stronger encryption levels may cause disconnections. Update 04/05/2012: Since last month, Claro has been blocking the Glasnost Test (http://broadband.mpi-sws.org/transparency/glasnost.php) choking any port that uses it. Fortunately, I successfully did a test and discovered the cause (http://es.scribd.com/doc/91667533/Clarogate-2-1-un-ano-despues). Update 14/10/2012: Now Claro is unfriendly with VPN services and privacy. Last week they blocked a Swedish provider, VPNTunnel (http://www.scribd.com/doc/109732457/ , in Spanish). - Olo limits Bittorrent traffic to 32KBps on download, not sure about limitations over upload speeds (blocking seeding?). But unlike Claro, RC4 encryption can boost up downloads in some cases. - Olo is also unfriendly with PPTP protocol (used by some VPN services), perhaps that is blocked although that measure is illegal in Peru (our regulator OSIPTEL has had net neutrality references since 2005 and became law in 2012). OpenVPN works. And like Claro, Olo is tricking several speed/line tests as Glasnost or Vuze specific test, and even Speedtest was pointed as target from its tricks. Credits to nanohtpc who found that gaps (in Spanish). (*)Starting one month ago people discovered cache proxies and strange behavior from streaming sites over all Telefonica Internet services. That is very related to traffic shaping over streaming services, and the reason Telefonica is on this blacklist. There is no proof about P2P traffic shaping for now, but maybe not for long. People are opening their eyes. Note #1: Rate limit is set for outgoing SMTP (TCP Port 25) and DNS (TCP / UDP Port 53) connections which is to prevent spamming from mail servers and DDoS attacks respectively. Note #2: MyRepublic uses Network Prioritization System which is basically flexible throttling. Note #3: Unroutable private class B IP address - did not inform customers nor indicate on their website. Unless subscriber pays one-time $50 for static IP (which MyRepublic will assign public IP address). BuddyBB Home package used TOT line. International bandwidth was limited to 256 Kb/s - 1Mb/s. True Internet highly throttle torrent traffic during day time. You have to download during night (after 1 am GMT+7) to get unthrottled speed. Most of home Internet in Thailand is connected via ADSL thus upload rate usually very slow by specification. UK Telecoms Market Data Tables update for 2014 has revealed that the United Kingdom is now home to a total of 22,808,000 fixed line residential and small business broadband ISP connections (excluding corporate lines), which is up by +1% on the previous quarter. Meanwhile more fixed phone line customers are going mobile, Also the report reveals that there are now a total of 32.99 million fixed phone lines. Eclipse Internet P2P bandwidth is limited to 448 Kb/s from 4pm to 11pm, You have to download during night from 11pm till 7am next morning. UK Mobile Broadband causes NAT issues! However Three/3 UK is the best but limited phone masks. 55% of home internet in the United Kingdom is connected via ADSL/ADSL+2 However generally 85% of properties will see their street cabinet enabled for FTTC/FTTP on there exchange, UK has £2.5 billion to invest in the technology which will allow them to reach two thirds of the country by the end of 2014 so therefore ADSL/ADSL+2 would get replaced with one of the following FTTC/FTTP/FTTH. 32% of home internet in the United Kingdom is connected via a Virgin Media (Cable Modems), What has download speeds of up to 152Mbps and upload speed of 12Mbps, The lowest is package is 50Mbps Download and 3Mbps upload, Please see Note 16 as this is not a great ISP - There is another company that uses the same technology is smallworld but im not sure on the info on this ISP. Since 2009 - 22% of home internet in the United Kingdom is connected via FTTC/FTTP/FTTH. ClearWire, US Yes Yes ? Yes Yes No No ? ? Digitel Yes ? ?+ Yes No No No ? ? Movistar ? ? ?+ ? ? ? ? ? ? NetUno ? ? ?+ ? ? ? ? ? ? Note 4: ResNets, large Local Area Networks or Metropolitan Area Networks serving the personal computers of students in their residence halls or dormitory buildings on various university campuses, have no common governing body and hence have different policies on file sharing. The listed problems are those that are most frequently reported by Azureus users from different ResNet networks. Note 5: Appears to be blocking default port range; be sure to select a port in the 50,000s. Note 6: Appears to be blocking the bittorrent user agent for getting the .torrent file. change that via your client or use a localhost proxy. Note 7: All customers are subject to a torrent bandwidth limit and this depends on your package. Torrents will be slowed for an hour or more. Seeding works fine and as of 03/08/2013 no encryption is required. Note 8: Customers on Plusnet's highest (Pro/20mb) tariff are not subject to bandwidth caps. Note 10: Rogers currently states that they cap all common P2P applications (Gnutella-clients, Torrent, etc) at [80 kbps on the upload stream, at all times of the day]. But they claim they do not throttle downloads at all. (See "See Full Details" at the bottom of the page). Note 11: The Motorola 2210-02-1ATT DSL modem (and probably also the other DSL modems that work with U-verse ADSL2+ HSI) does not have a bridge mode and is apparently overwhelmed by the different number of nodes communicating with your PC over DHT. Disable DHT as a work-around, and possibly also reduce the total number of connection allowed by your BitTorrent client to 100 or so. Note 13: FastNet throttles torrent downloads for customers on the lowest (1mbps) tariff alternately between 1mbps and 0.5mbps every 1 hour or so. Using RC4 Encryption with both fallbacks unchecked appears to remove traffic shaping entirely. Note 14: Although they claim that they throttle BitTorrent to 300 kbps downstream and 100 kbps upstream on their traffic management page, I've noticed no throttling at any time of the day on Xplornet's EORN fixed wireless networks. Just watch them caps. 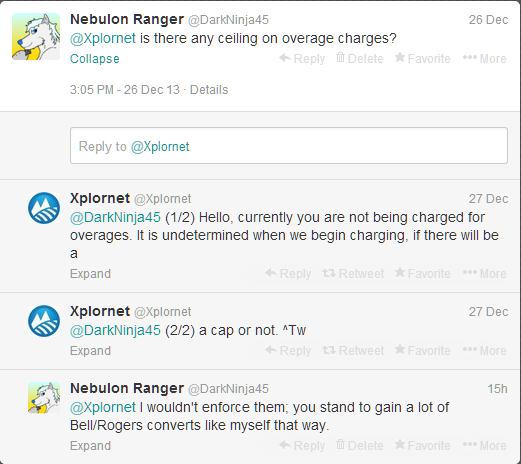 UPD: According to this tweet from Xplornet Support on Twitter, they don't actually enforce their caps on wireless. Happy downloading! Note 15: BT Broadband/Sky Broadband dos not throttle any P2P/Traffic Sharpe. Note 17: EE Mobile Broadband/O2 Mobile Broadband all have NAT issues, If connected to a T-Mobile mask you will not get NAT at all! Only Orange phone masks seems to work better. VPN work fines but upload speed are very poor, All tested on 3G, Not tryed 4G YET! Note 18: Eclipse Internet, Avoid downloading/uploading between the hours of 9AM to 11PM even on weekends and weekdays to avoid traffic policy, The hours of 9AM to 11PM would be reduced to 448Kbps just on P2P basic. VPN not affected. Note 19: Hyperoptic has a Very fast broadband speeds, This ISP dos NOT throttle any type of traffic and has speeds up to 1Gbps/1000Mbps. Note 20: TalkTalk Fibre (take note) has a default speed of 2Mb upload speed and has there own equipment at BT Exchange however they shared the Openreach DLM for Fibre, No dos it not have any type of throttling! You can request for up to 20Mb upload depends on how fair/good you BT line is. If you are on ADSL+2 side has upto 658Kbps upload again depending on how good the phone line is. Note 21: Sky Fibre (take note) has a default speed of 10Mb upload speed, No dos it not have any type of throttling like TalkTalk You can request for up to 20Mb upload, This depends on how fair/good you phone line is. ADSL+2 side has upto 1.3Mbps upload again depending on how good the phone line is. Note 22: Tesco Broadband, Avoid downloading/uploading between the hours of 12:00PM to 22:30PM to avoid traffic policy, The hours of 12:00PM to 22:30PM would be slowed down, Doesn't seem VPN is affected. Note 23: SurfAnyTime/TitanADSL, This ISP has restricted P2P ports on the hours of 8AM-23:59pm to avoid this download/upload between 00:00am - 7:59AM, VPN is ok to use. Note 24: Post Office Broadband, Restrict your usage of P2P at peak times, Peak times are 4:00PM-00:00, Monday-Sunday including Christmas and Bank Holidays. Peak times are 4pm-Midnight, Monday-Sunday (including Christmas and Bank Holidays), UK time. *"Bad" is a relative and subjective term, and we only mean to imply that there may be issues for users of certain ISPs, as identified more fully on this page. Many of the ISPs discussed are good for many other reasons.You should determine for yourself what you think about these ISPs. We want to again stress that we respect the rights of copyright and other rights holders, and hope and expect that you do too. Any use of Vuze® or Vuze+™ that violates an intellectual property right or any right of a third party is not allowed. Please do not infringe upon copyright. Content available through Vuze® or Vuze+™ may or may not comply with copyright laws in your territory or country, and Vuze is not responsible for content you may download or share. This page was last modified on 10 April 2019, at 09:21. This page has been accessed 568,730 times.